Located at the northern end of Marine Drive. 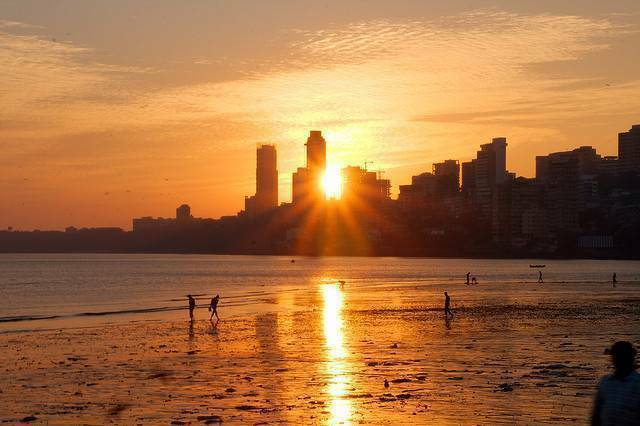 Chowpatty is Mumbai’s most famous and popular beach spot. Much of a hubbub, it’s not the cleanest spot to enjoy the sea, but it is the busiest and most cosmopolitan. Office workers, business types, rick shall riders and families rub shoulders. There’s a great deal to see and do here and it’s a great introduction to Indian culture, seeing how Indians relax and enjoy themselves when the working day is over.